I like your plan! You never know when the travel bug might bite and with the time to spend doing what you want it is a great idea to be ready to roll. We tried the AirBnB service for a recent trip to Paris and were very happy with the results. We are considering using them to possibly rent a room on occasion when we retire, not sure about renting the whole place while traveling…I am also reading about a lot of technology that allows you to keep tabs on your home while away – from video to lights, etc. Happy trails! Glad you had a great trip — can’t beat the mixture of fun and family! The central coast is so wonderful! Even though it’s fairly close, it feels so different compared to the So Cal coast! 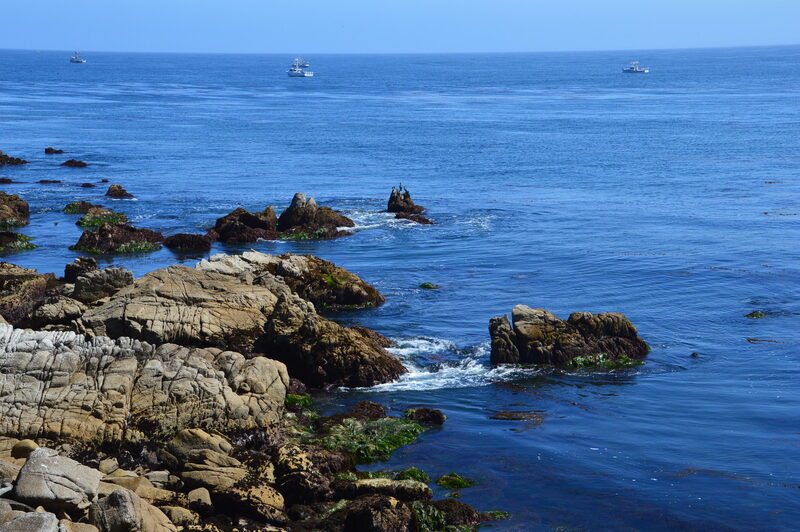 The cliffs of Monterey reminded me so much of La Jolla, but not nearly as crowded. San Francisco was magical, especially when viewed from the Marin Headlands, and Napa so lovely. We’re so lucky to have family up there with a guestroom always available. Oh, you need to widen your circle of friends. Champers be yummy! Thanks for the heads up on our insurance. Definitely something to look into! Anyone breaking into our house would be pretty disappointed too… but how creepy that would be anyway! Even if we don’t travel as often as we’d like, it really is nice to have the option and the flexibility. 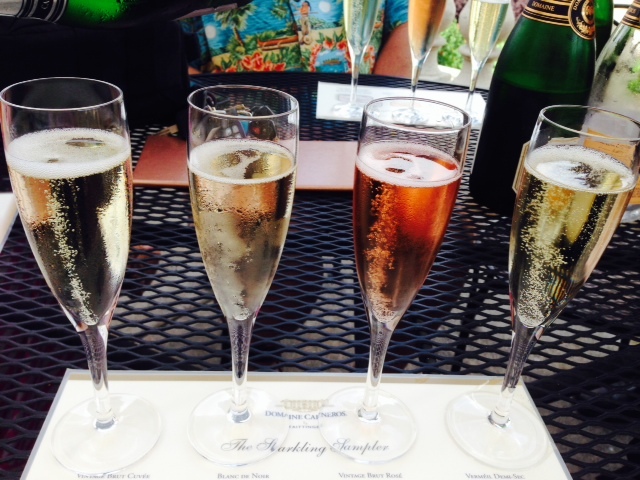 Champagne tasting….ahhh. We are off to NY and the Fingerlakes Region next week and will be visiting a few New York wineries (no comparison of course), but it will be wonderful to get away again this summer. Love, love, love being able to grab a bag and go – no pets, no newspaper, no worries. Mother-in-law checks on the house in our absence and a neighbor has a key just in case. Love your mail slot idea. Happy for you that retirement is going as spontaneously unplanned as possible! Lucky you! I have a friend who lives in Hammondsport and she loves it! I have a hard time understanding how she – Southern California born and raised – survives the winters there, but I guess the other seasons make up for it. Enjoy your trip… and the wine tasting! Previous Previous post: So Far, So Good!